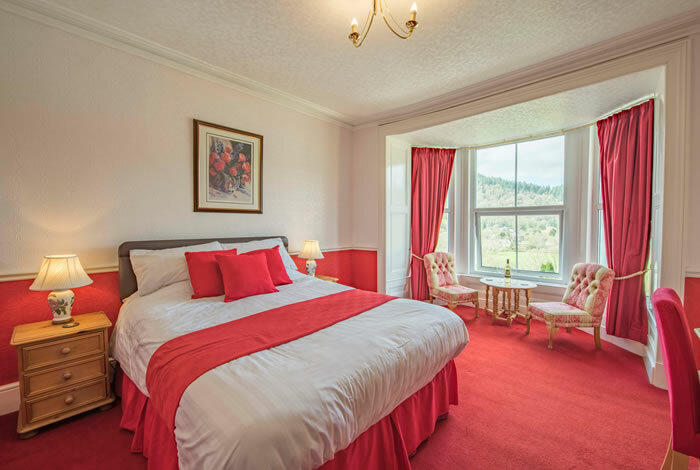 Bryn Bella offers relaxing and comfortable bed and breakfast accommodation overlooking the village of Betws-y-Coed in the Snowdonia National Park, North Wales. The lounge is situated on the ground floor where as well as the usual TV and WiFi facilities (available in all rooms) you will discover bookcases stocked with walking and climbing guides of the area as well as those of other parts of the world. In addition you will find recent copies of Bird Watching, High, local papers and TV listings. 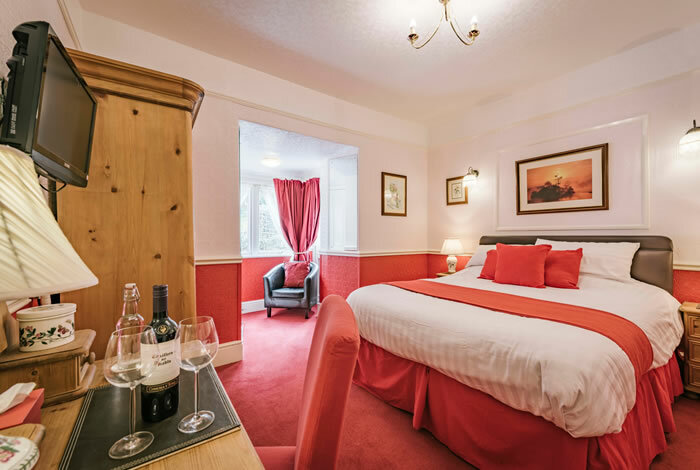 The B&B has a selection of both double, twin and king bedded rooms, all of which are tastefully furnished, all ensuite, with remote colour TV, hot beverage tray, clock radio and hair dryer. 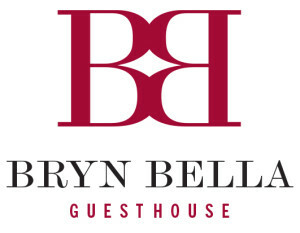 View the virtual tour of Bryn Bella. 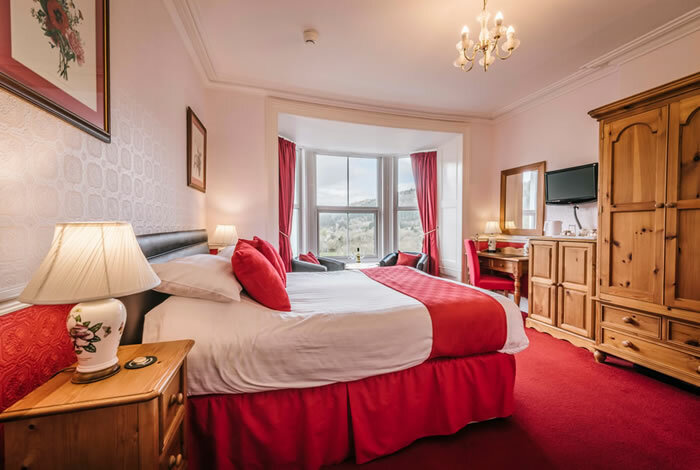 Room 5 is available as a King size bed for two people or with an extra single bed to accommodate up to three people, on the first floor at the front of the house with views overlooking the Conwy Valley and onto the Village of Betws-y-Coed. It is fully equipped and has its own en suite toilet and power shower. 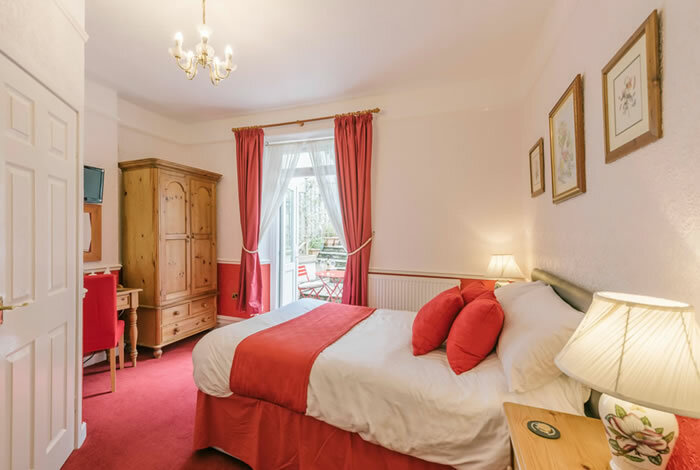 Room 6 is available in Twin or King bed configuration, on the first floor at the back of the house with views overlooking the garden and the forest beyond. 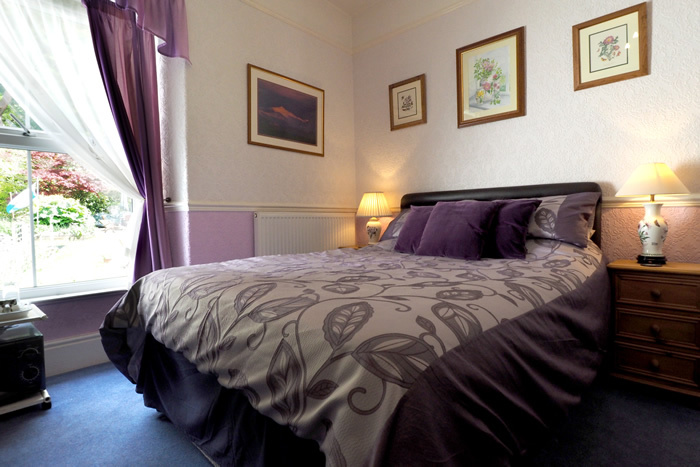 It is fully equipped and has its own en suite toilet and power shower. Low Season: January, February, March, November, December (less Christmas, New Year and Bank Holiday weekends which will be charged as High Season). High Season: April, May, June, July, August, September, October, Christmas, New Year and Bank Holidays. Discounts may be given for single occupancy subject to availability. Check in time is after 15.00 hrs and checkout by 10.00 hrs. A non refundable deposit equivalent to one nights stay per room is required to confirm all bookings. For details of accessibility at Bryn Bella see our Accessibility Statement. For cancellations or changes within a month of the booking date payment is due in full for the period booked. If the accommodation can be re let then a refund will be made for those days we are able to occupy the rooms.